Lemon pepper. Nothing too crazy. I’ve cooked with it many times, but never have I prepared chicken (or anything else for that matter) with real lemon pepper. 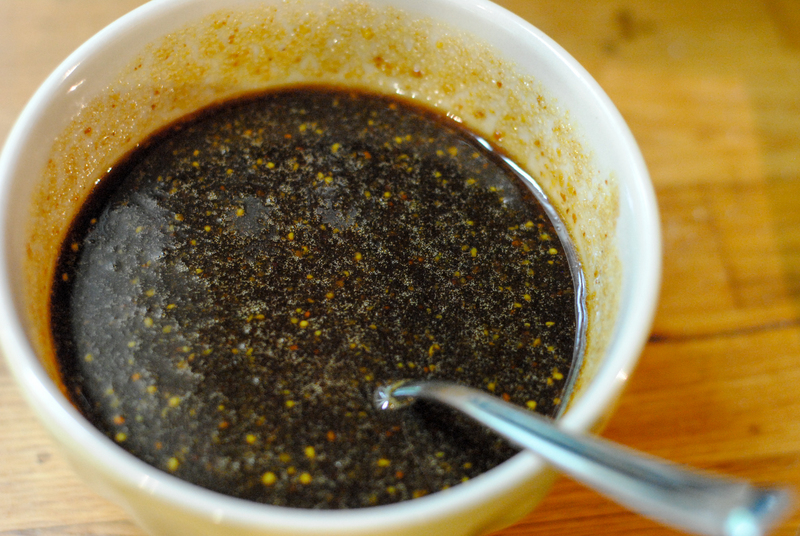 So last night I decided to use the zest and juice of a lemon mixed with freshly ground pepper to do the trick. 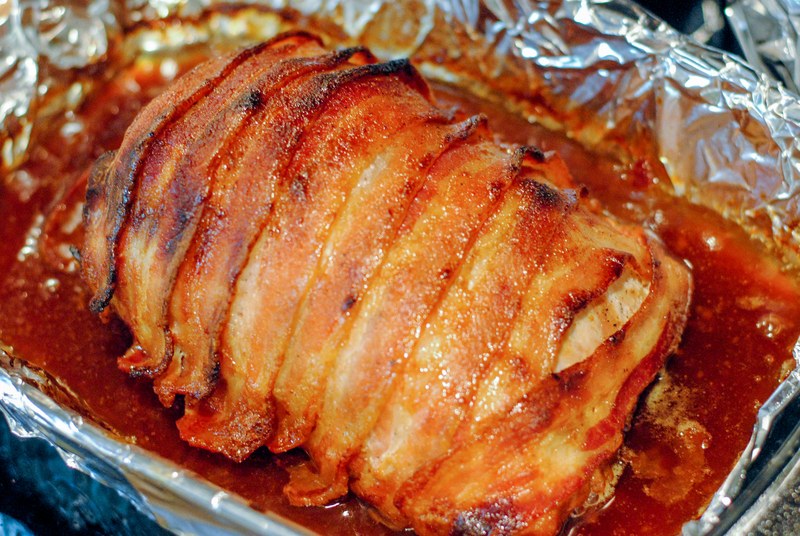 It turned out great and was much more flavorful than the seasoning mix I used to use. 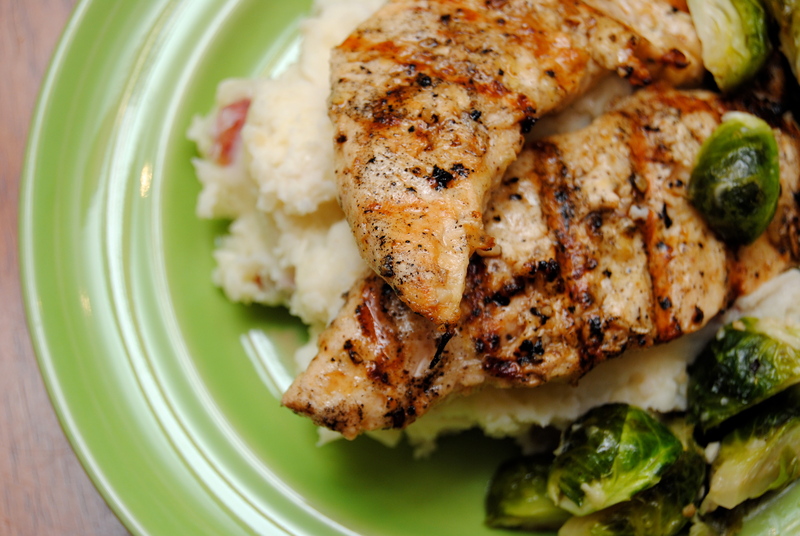 The co-stars of my lemon pepper chicken were lemon and garlic roasted brussel sprouts and parmesan mashed potatoes. So, so yummy. One of my co-workers was making fun of me at lunch today saying how every time I post a recipe I go on and on about how good it is. Well, my response to her is that I only post the things that (to me) are really, really good. If I can’t get excited about it, I don’t post it. Might I add that soon after being made fun of, I let her try this meal… and she loved it. So this one is double certified blog-worthy. I hope you enjoy as well. 1.) Combine all ingredients in a Ziploc bag and toss to mix thoroughly. Let sit for about 30 minutes. 2.) On a hot grill, cook for about 5 minutes on each side. 1.) 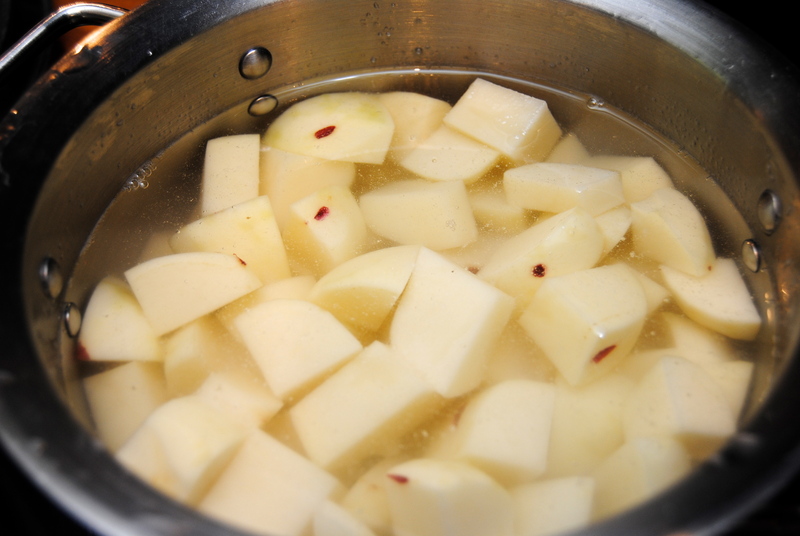 Boil potatoes until they can be easily pierced with a fork, or about 10 to 12 minutes. 2.) Drain and place potatoes back in pot. Add butter, sour cream, parmesan, salt, pepper and garlic powder. 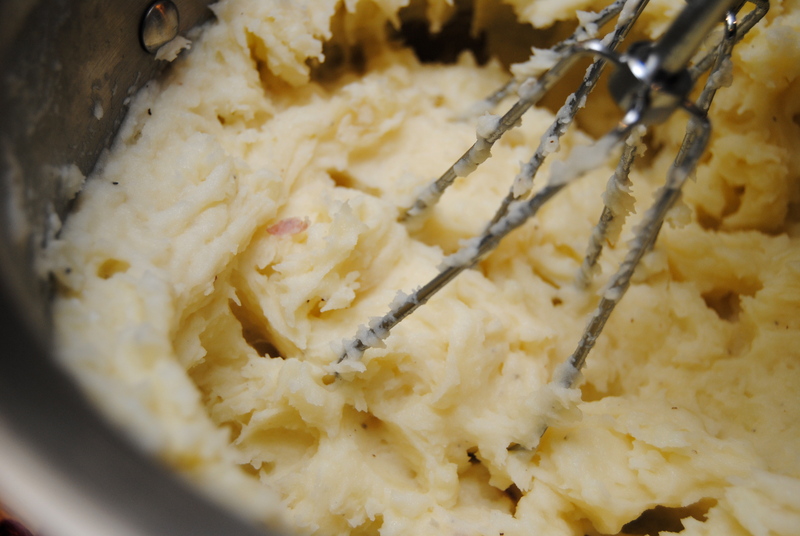 Mash with a potato masher. 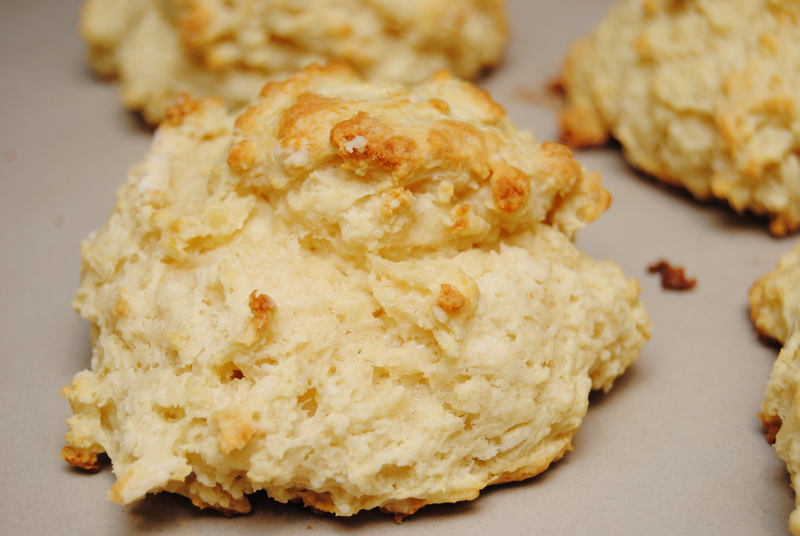 Taste and adjust (or add) ingredients as needed. 1.) Preheat oven to 425. 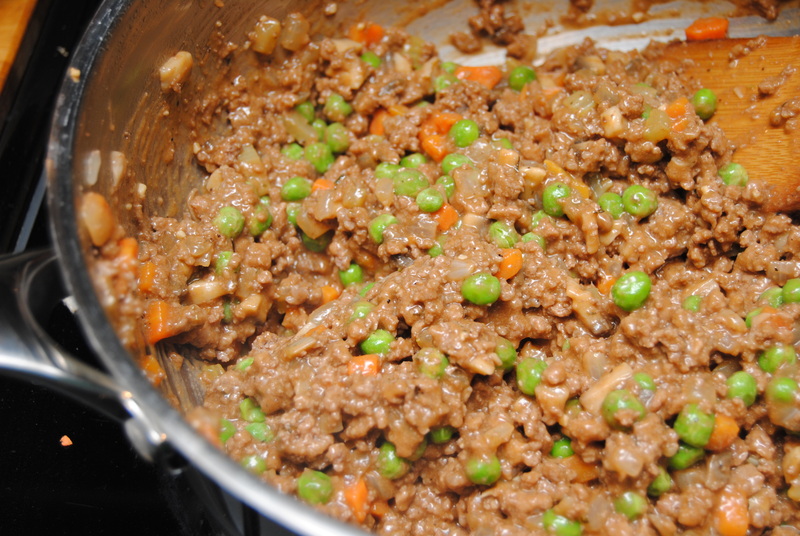 Toss all ingredients in a Ziploc bag and mix thoroughly. 2.) Place brussel sprouts in a casserole dish and bake for about 20 minutes. 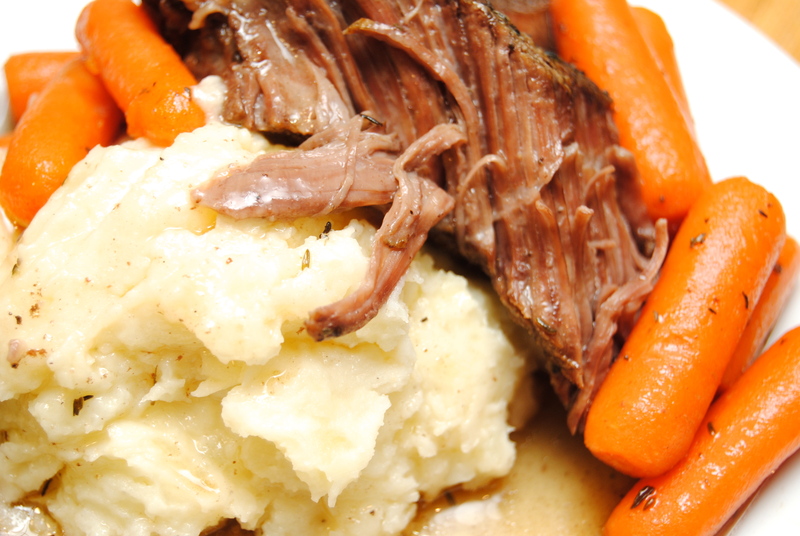 Pot roast. Umm. 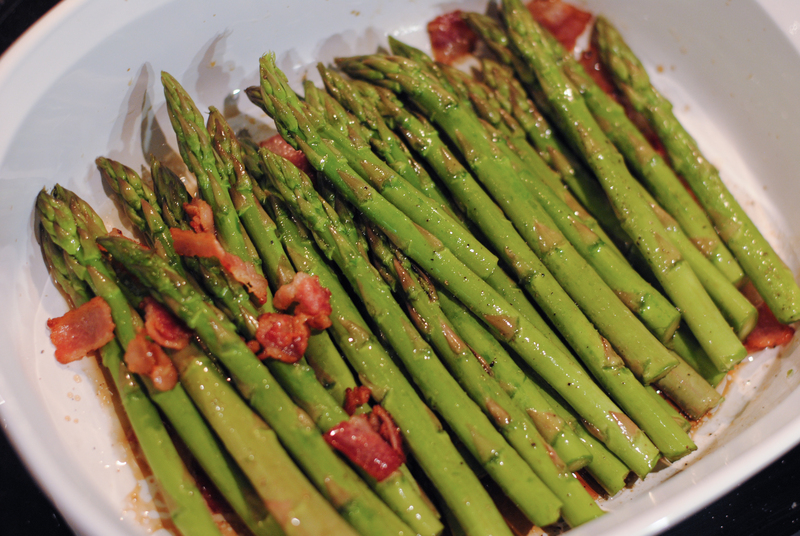 One of my favorite fall/winter dishes. It is the epitome of a Sunday meal. 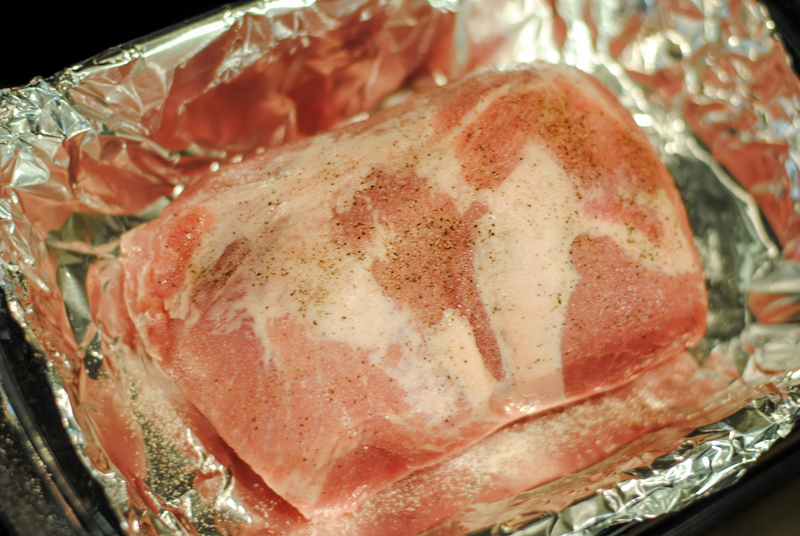 This beauty cooks low and slow and fills my house with one of the best smells to come out of an oven. 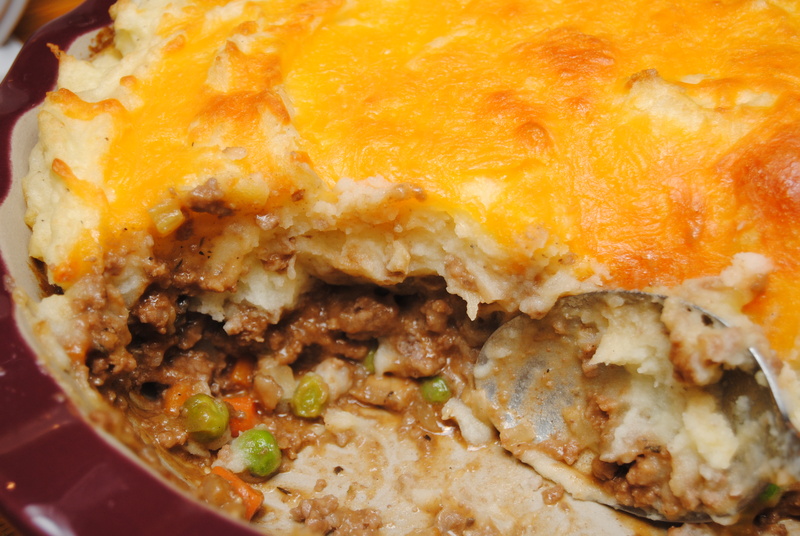 I used to make this with carrots and potatoes cooking along side the meat, but decided to make this with just carrots since I prefer mashed potatoes. 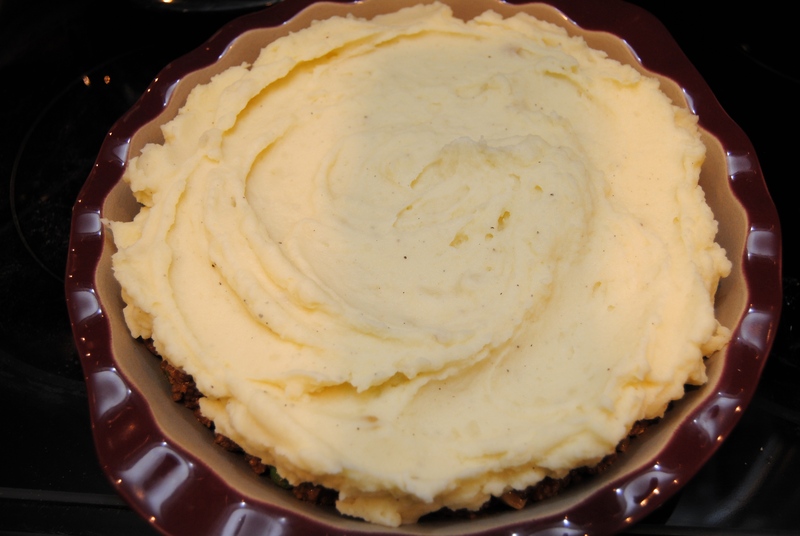 So I made Thanksgiving-quaility whipped potatoes so that every forkful could be a heap and potatoes and a piece of tender meat. Yum, yum, yum. 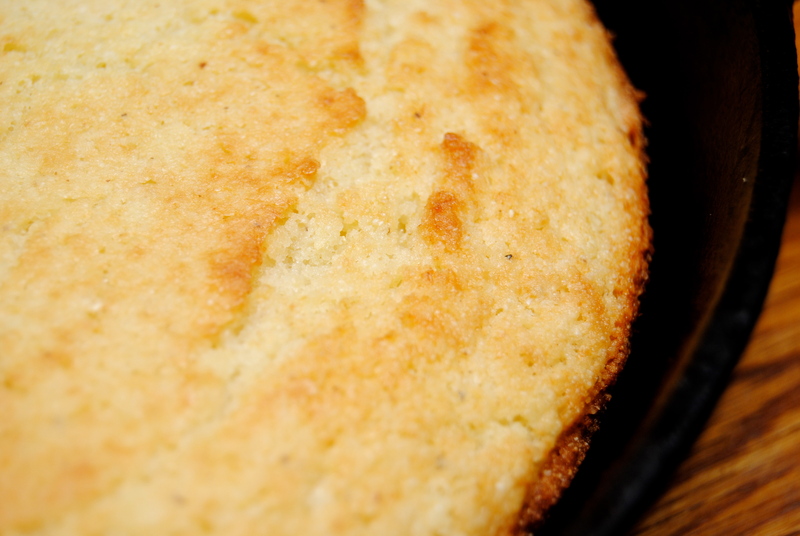 And when I make a pot roast, I have to make some buttermilk cornbread. Have to. The way I eat this (it may sound weird, but just hear me out) is to put my cornbread in a bowl and pour the beef broth from the pot roast over it. I soak it. There is something about those two together that is just perfection. Enjoy! 1.) Preheat oven to 325 degrees. 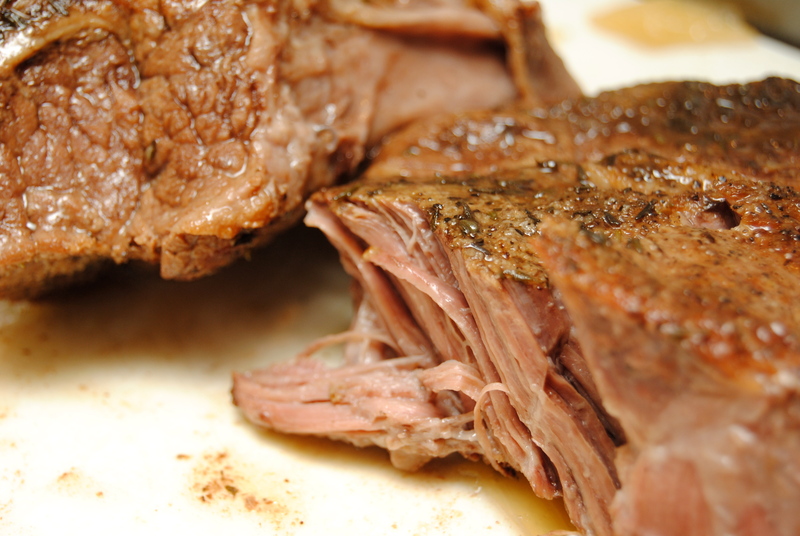 Liberally season chuck roast with salt, pepper and onion powder. Heat oil in large dutch oven over high heat. 2.) 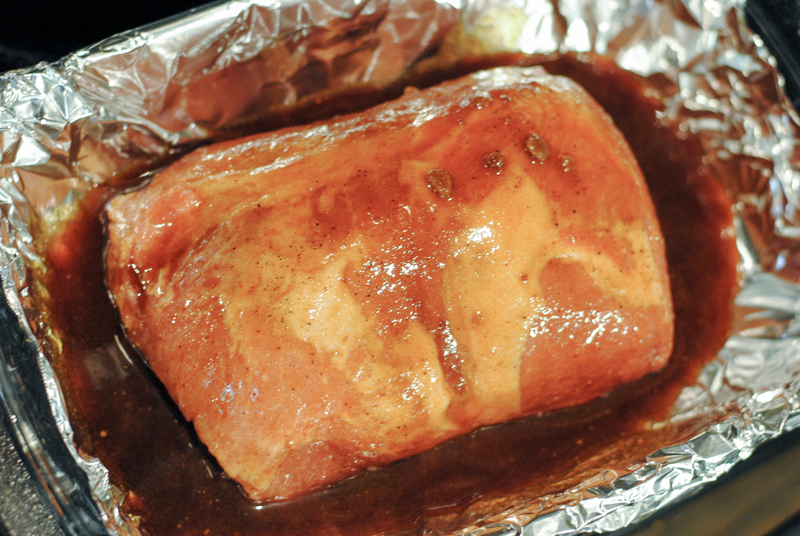 Sear each side of roast. 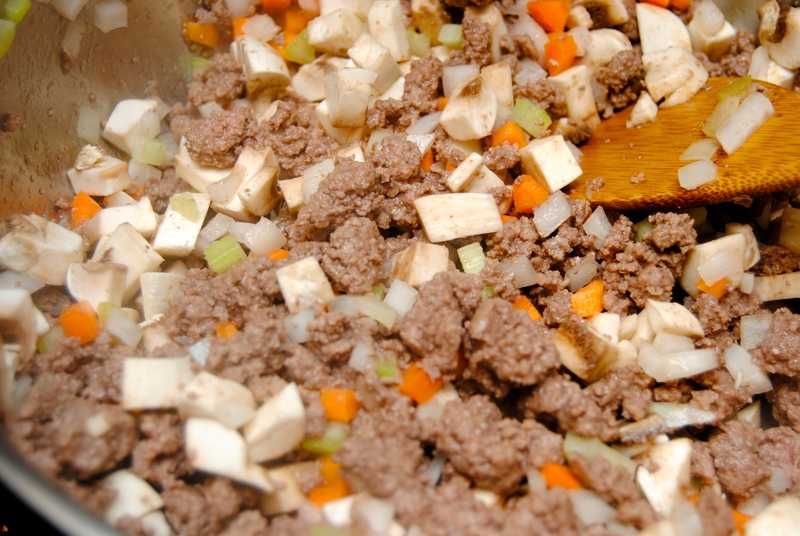 Add onions and celery to pan around meat. 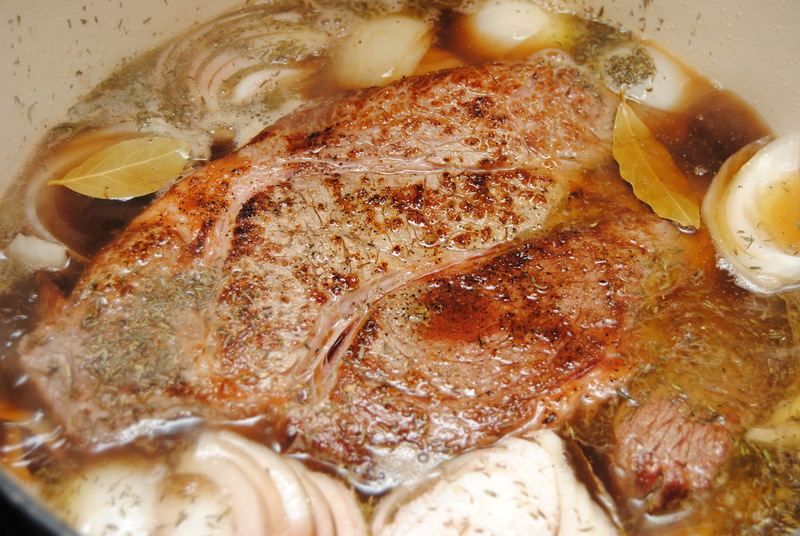 Deglaze the pan with beef stock. Add thyme, bay leaves, salt and pepper. Cover pot and place in oven. Bake for 2 hours. Set carrots out so they are not cold when you add them later. 3.) 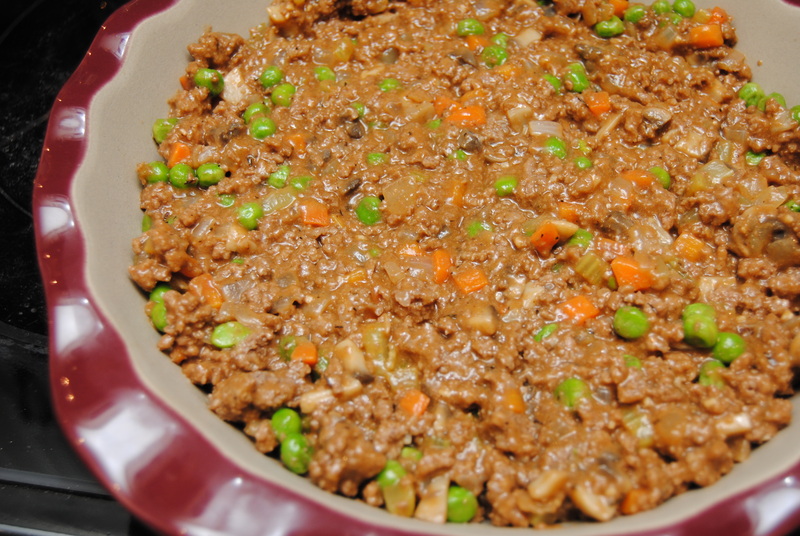 Remove pot from the oven and add carrots. Bake for an additional 2 hours (or until carrots are done). 1.) 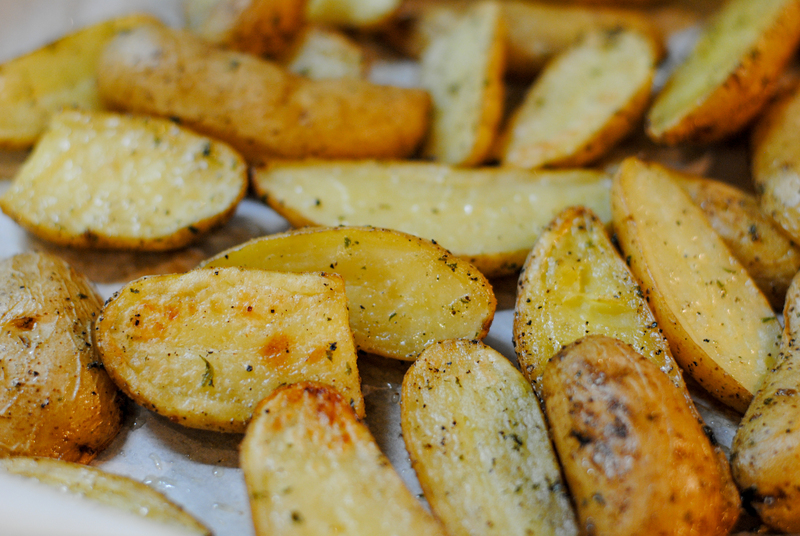 Boil potatoes for about 8 to 10 minutes, or until you can easily insert a fork into them. Strain and return to pot. 2.) 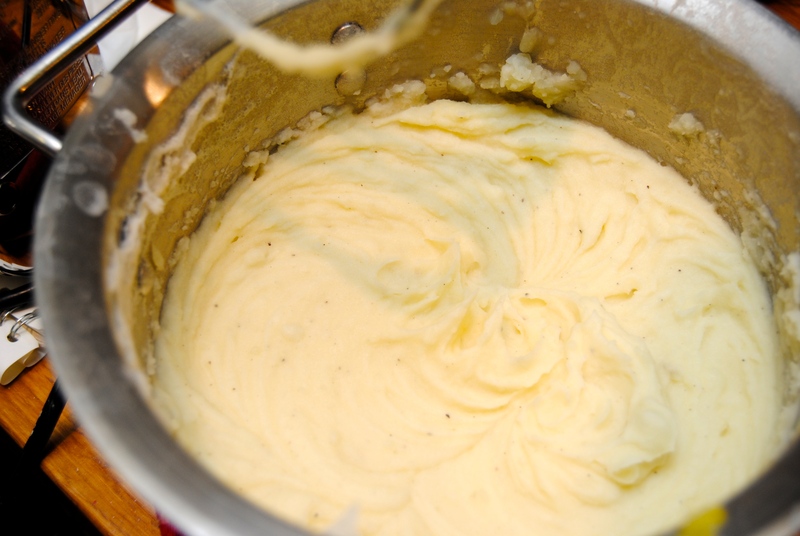 Add butter, half and half, sour cream, cheese, salt, garlic powder and pepper and whip with an electric mixer until completely smooth. 3.) 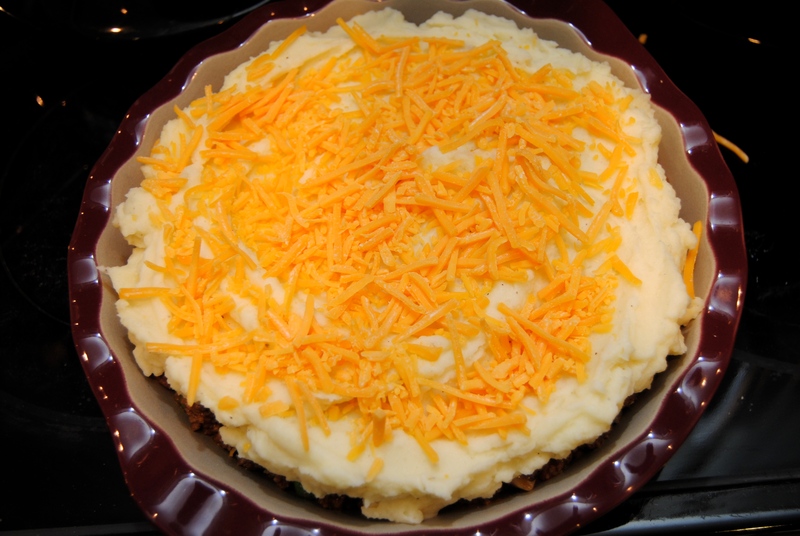 Taste and add more half and half/sour cream/cheese/salt/garlic powder as needed. I rarely measure, I start by adding roughly the above amounts and then taste, and usually add a little more. 1.) 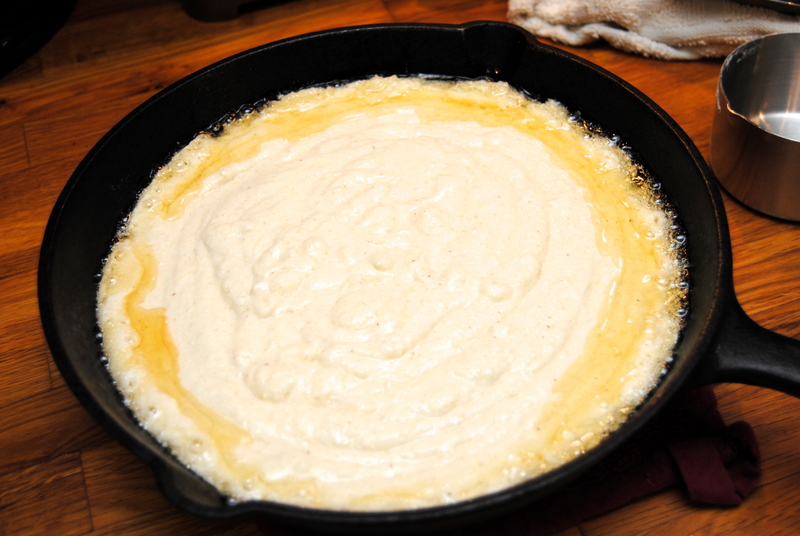 Add 2 tbsp oil to a cast iron skillet and swirl around the pan. 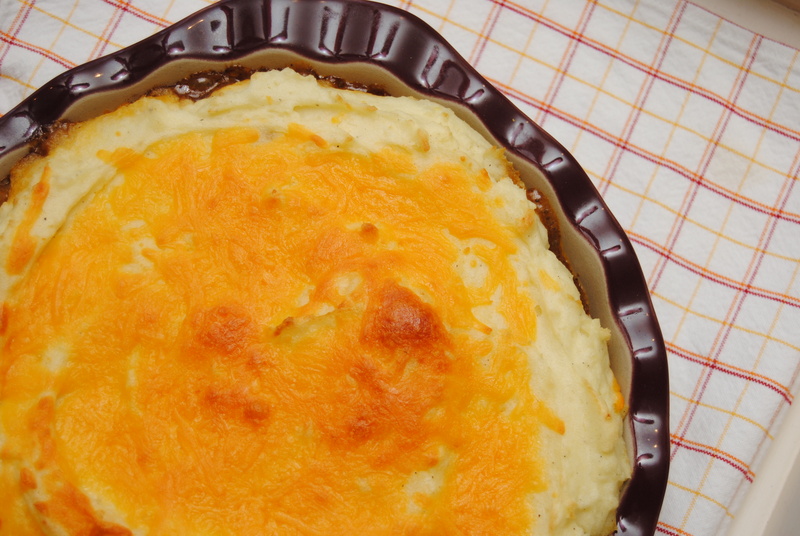 Set oven to 450 degrees and place skillet in the oven to heat the oil as the oven preheats. 2.) 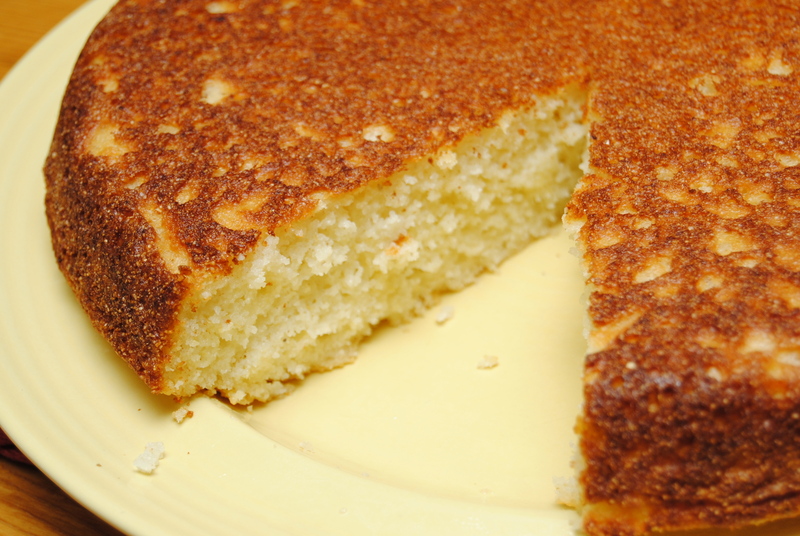 In a medium sized mixing bowl, combine cornmeal, buttermilk, butter, vegetable oil and egg. Stir well until fully incorporated. 3.) 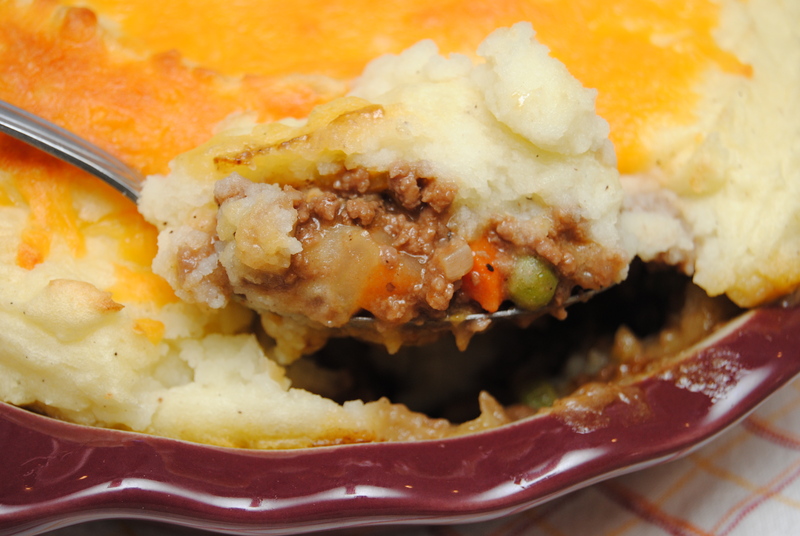 Pour batter into hot skillet and return to oven. 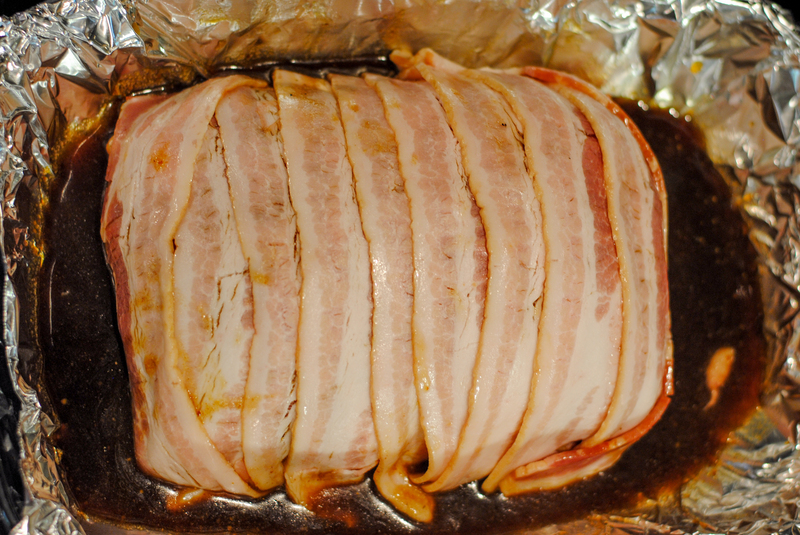 Cook for 20 to 25 minutes, or until top is golden brown. 4.) 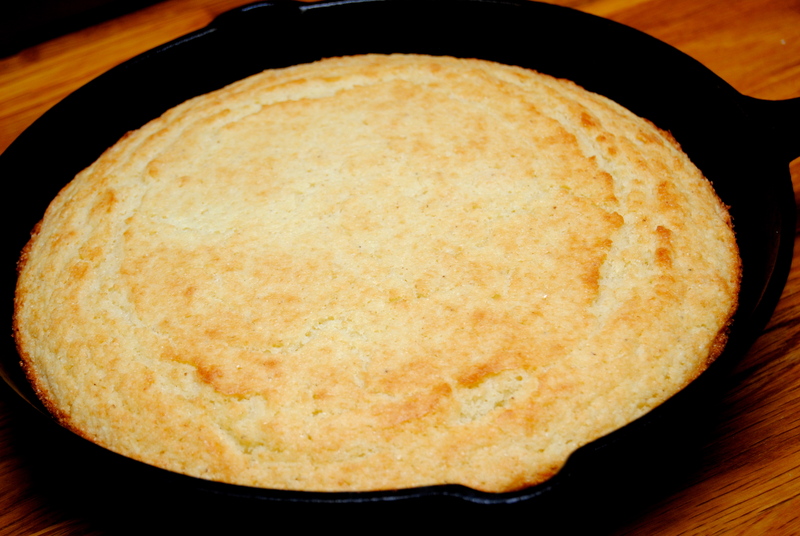 Placing a plate on top of the skillet, delicately turn skillet over to transfer cornbread without breaking.